Roberto Alagna is THE most well know french tenor worldwide, with 30 years of career on stage, and 60 opera roles in his repertoire. 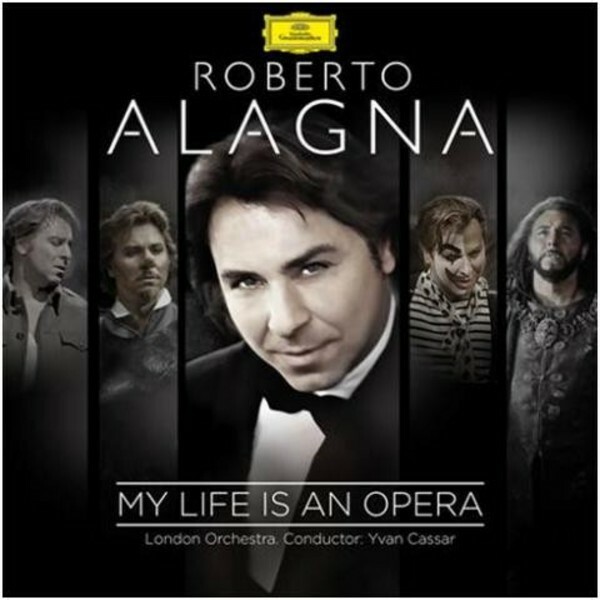 'My Life Is An Opera' reflects the significant moments in Alagna�s life and career. This new album, recorded in September 2014 in London, includes real opera hits like Che faro senza Euridice (Orphee et Euridyce, Gluck), Donna non vidi mai� (Manon Lescaut, Giacomo Puccini), Vesti la Giubba (I Pagliacci, Ruggero Leoncavallo) and La Danza (Gioacchino Rossini). Includes a 34 page booklet.